Hardcode candid dialogue into your sales team's culture. 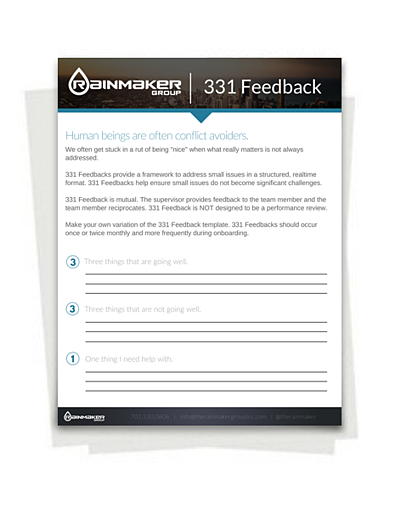 Turbo-charge your sales coaching with our 331 Feedback Form. Create an environment of candor and accelerated innovation where real-time dialogues are expected. For best results, customize to meet your needs.